Spend Halloween with treats of an adult kind when the Walt Disney World Swan & Dolphin Food & Wine Classic returns the weekend of October 30 and 31, 2015. Now in its sixth year, the resorts will feature more than 40 food and wine stations, 10 food and wine seminars, and the opportunities to meet the award-winning chefs behind featured culinary masterpieces. The two-night festival features cuisine from the resorts’ own award-winning signature restaurants, such as Il Mulino New York Trattoria, Shula’s Steak House and Todd English’s bluezoo. 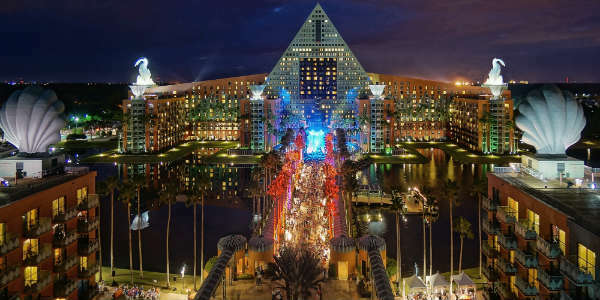 New to this year’s event is the addition of a food truck area featuring dishes from the Walt Disney World Swan and Dolphin Hotel food and beverage team, and Cabot Cheese (which was a big hit last year). There will also be a variety of beverages to try, including wines from around the world, and for an upgrade, a beer garden full of tasty craft beer options. In addition to enjoying the food and drink, attendees can learn about it via separately ticketed seminars encompassing wine, beer, mixed spirits, and food. During the evenings, guests will also have opportunities to meet the resort’s celebrity chefs such as Todd English, two-time World Champion Pastry Chef Laurent Branlard and BBQ champ Robert Ciborowski. Tickets are available individually, or as part of a resort stay package. Advance purchase event-only tickets are available for $105 per person (including taxes) and include unlimited food and beverage samples on the causeway. Upgrade to tickets that include the beer garden for $125 per person (including taxes). Beverage seminars are $45 per person (including taxes), while pasta making and pairing seminars are $60 per person (including taxes). Two-night packages, including tickets to the outdoor festival for two and overnight accommodations, are available starting at $684. For more information or to book, please visit swandolphinfoodandwineclassic.com. You can also read our coverage from last year’s Food & Wine Classic.